The Fort Wayne TinCaps, entering their ninth season at Parkview Field, set yet another attendance record in 2016. 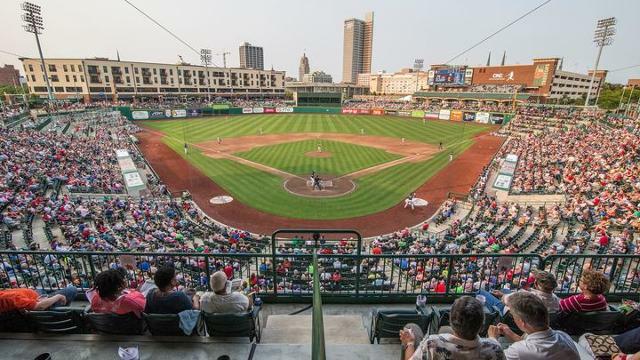 "The [Minor League] teams that achieved their highest total attendance ever in 2016 were South Bend, Visalia, Charleston, Fort Wayne, Pulaski, Johnson City, Asheville, Biloxi, Tennessee and Columbia, which outdrew all previous teams that played in that city." What factors led to these record-setting campaigns? In some cases the answer is obvious. In others, not so much. What follows is an attempt to answer this question, often with input from the teams themselves. The Tourists play in one of the oldest ballparks in Minor League Baseball, as McCormick Field opened in 1924. (It has been extensively renovated since then, most recently in 1992.) Brian DeWine, Tourists owner and president, said recent success at the gate can be attributed to "a bigger and better promotional schedule, larger marketing budget and a veteran staff." He added that the team's marketing resources go to "educating fans when we play" via four-second television IDs and digital billboards bearing messages such as "Game Tonight" and "Game Tomorrow." 2016 marked the Shuckers' second campaign, but the first in which they were able to play the entire season at Biloxi's MGM Park. (Construction delays forced the team to spend the first two months of 2015 on the road.) Biloxi general manager Chuck Arnold wrote that the team set a "great foundation" in 2016, thanks to the benefit of a full promotional schedule as well as the introduction of mascot Schooner the Seagull, and more recently, the "world-famous" Crawfish Boil Racers. Prior to the arrival of the Shuckers, Biloxi hadn't hosted a Minor League team since 1928. As Kronheim notes, the 1997 RiverDogs became the first Charleston, South Carolina Minor League Baseball club to draw over 200,000 fans. (The highest drawing team prior to that had been the 1948 Charleston Rebels.) Over the past two decades, the team has continued to trend upward, and 300,000 now seems to be within reach. RiverDogs president Dave Echols said the team's "recipe for success" is a combination of several ingredients: a longstanding "Fun is Good" operational philosophy, award-winning marketing campaigns, Charleston's status as a premier destination city and the overall growth of the region regarding home ownership and business development. 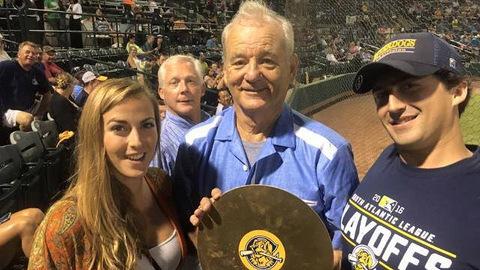 The RiverDogs, aided by co-owner Bill Murray, gave away commemorative records in honor of setting a new mark. The Fireflies played their inaugural season in 2016 -- competing in brand-new Spirit Communications Park -- and easily eclipsed the totals of previous Columbia-based Minor League entities. The city's previous attendance record had been achieved in 1996, when the Capital City Bombers drew a comparatively measly 156,921. Team president John Katz noted the Fireflies surpassed this mark on July 5, when they had played 25 fewer games than the '96 Bombers. "Minor League Baseball is about the fans, and our team has done a phenomenal job engaging, entertaining and making memories for our fans," said Katz. Fort Wayne's Parkview Field opened in 2009, but the TinCaps keep finding ways to outdo themselves. 2016 marked the seventh time in the past eight seasons that the Midwest League club established a new attendance record. "We are proud of that consistency," wrote Fort Wayne president Mike Nutter. "While the ballpark itself is getting older, it is also getting better. Each offseason we have made significant improvements to Parkview Field." Last year's biggest addition was The Summit, a privately funded group area built atop the batter's eye in center field which Nutter called "the first of its kind ... in any Minor League ballpark." "The other major factor contributing to our record-setting season is our staff," he added. "Many of our staffers have been together for the entire run at Parkview Field, and they do an unparalleled job on the promotions, creating a great ballpark atmosphere and maintaining cleanliness, food quality and a family friendly environment." The Cardinals drew 12,737 more fans in 2016 than they did the previous year, the biggest increase among short-season clubs. General manager Tyler Parsons, entering his fourth season in Johnson City, attributed the record-setting season to a combination of factors. "We really focused on changing the culture ... to create a fan-friendly atmosphere that promoted not only baseball but entertainment inside the ballpark," he said. "Second was the overall growth of Johnson City, specifically the downtown area and surrounding property near the ballpark. ... The city's growth created a lot of momentum. "We had the merger with [Tennessee Smokies ownership group] Boyd Sports last January and that culminated in a private/public partnership that allowed us to make some much-needed additions to the stadium. ... It has allowed us to get a ballpark built in 1952 some modern amenities, while still keeping that historic feel." To find an Appalachian League attendance total higher than what Pulaski posted in 2016, one needs to go back to the 1997 Danville Braves. Pulaski's current success can be credited to local businessman David Hagan, who bought the team and its longtime home of Calfee Park in 2014. Pulaski general manager Blair Hoke noted over $7 million has recently been invested in stadium renovations and upgrades, bringing new life to a facility that first opened its doors in 1935. Hoke also pointed to an increased emphasis on the variety and quality of concessions, souvenirs, promotions, community appearances, fan engagement, playing field quality, advertisements and fan transportation options. Just about everything, in other words. 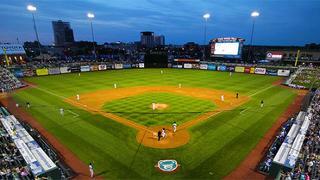 In 2011, the South Bend Silver Hawks drew 112,795 fans. For five years, the team -- now known as the Cubs -- more than tripled that total while still playing in the same (albeit massively renovated) ballpark. Andrew Berlin bought the team in 2012 and a steady stream of improvements to Four Winds Field followed, including a $500,000 investment in 2016. The shift to a Cubs affiliation prior to 2015 also has been a huge boost; team president Joe Hart noted prospects such as Eloy Jimenez and Donnie Dewees (who was traded to the Royals on Wednesday) were among those who sparked fan interest in 2016. "Customer service is the No. 1 priority," added Hart. "We are in the business of creating memories and providing an out-of-the-box experience, and in many instances, that doesn't have anything to do with the outcome on the field. ... Our fan base is recommending us to others, which is helping spread the word about the experience at Four Winds Field." Smokies Stadium, located in the Knoxville suburb of Kodak, opened in 2000. The Smokies have drawn at least 240,000 fans in all 17 seasons they've resided there, but the past three seasons have seen the team reach new heights. Why? "We've added a ton of group sales amenities," said Smokies president Chris Allen. "Factor that in with beefing up our sales staff, adding 10 employees, and that's the secret to our success. 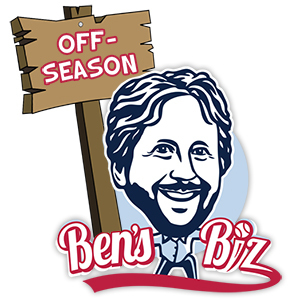 ... Boyd Sports [ownership group] is always looking to improve on their investment. Right now, our sales are up and I really believe we can break the record again this year. But you're always at the mercy of the rain." The Rawhide have set an attendance record in seven of the past eight seasons. And yet, with Bakersfield and High Desert now gone from the California League, it is a near-certainty they will finish last in attendance even if they set yet another record in 2017. Such is life in one of the circuit's smallest markets, playing in one of the smallest and oldest ballparks. But the Rawhide have found success within this context. The city and team ownership have made numerous improvements to 75-year-old Recreation Park over the past decade. Now if they can only do something about that vengeful dead alligator.